The Materials Selection page describes our selection of materials healthy for ourselves and the environment, and includes a video featuring the macrocarpa cladding. The most visible external surface is the cladding. We looked at a number of timber options for cladding the house and decided to go with untreated macrocarpa. 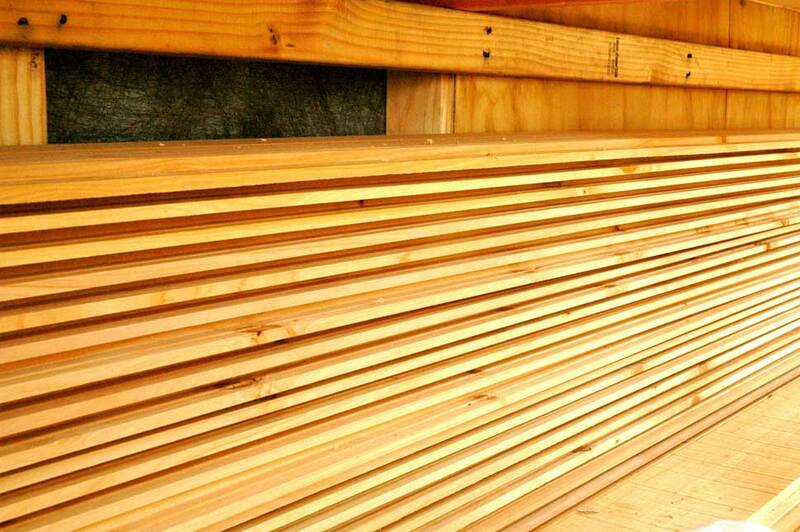 Macrocarpa is one of the most eco-friendly timbers produced in New Zealand. 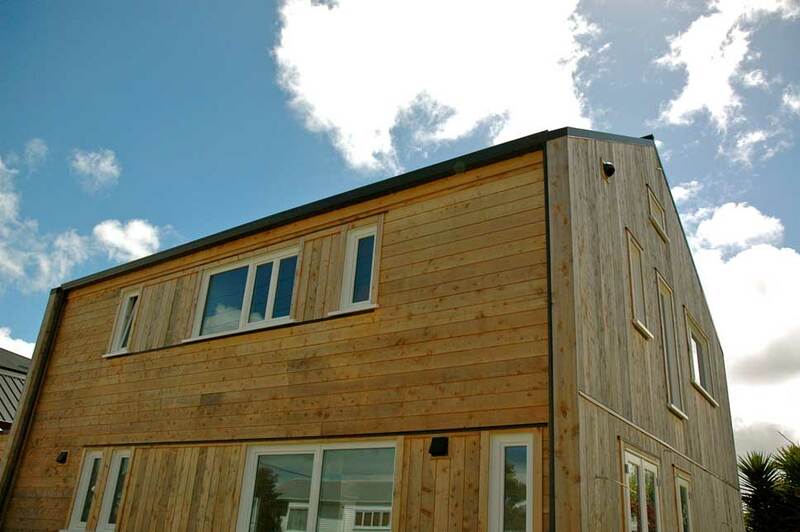 As we’ve done at the Zero Energy House, it can be used untreated while having a level of durability similar to H3.1 treated pine. This makes it naturally resistant to rot and insect attack without the need for chemical treatment. Cladding is from MacDirect, the largest supplier of building grade macrocarpa in the North Island. MacDirect source their timber from plantations, ensuring consistent timber quality. From our experience, they are very knowledgeable about macrocarpa and how it can be used within the building code. Because it hasn’t been treated with chemicals any waste during construction such as shavings or sawdust can be left to compost directly into the garden soil without any concerns about contamination. We've also used it internally in the house, something we wouldn't have done with a chemically-treated product. Both the entrance-way and garage are lined with macrocarpa, giving a sense of continuity between the inside and outside of the house. 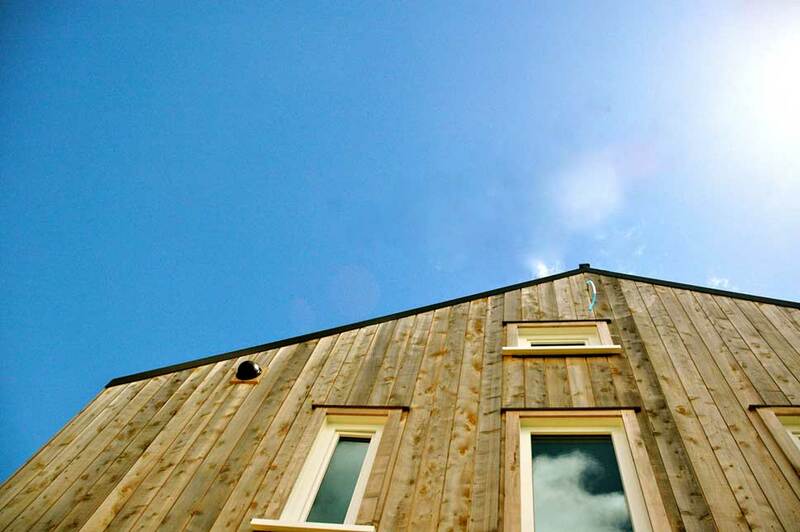 On top of the environmental benefits of macrocarpa, we're really happy with the look the cladding has given the house. It's been nice watching it silver off in those parts of the house most exposed to the sun, and the natural smell is fantastic. The images below show the effect of this silvering off less than a year after the cladding was installed, and at the bottom of the page you can view a gallery of images showing details during construction. Effect of silvering off less than a year later, May 2013.